'S e baile ann an Alba meadhanach a tha ann am Bearsden. Tha e faisg air Glaschu agus Muileann-Ghaidh ann an Dùn Bhreatainn an Ear. Tha iomadh làrach Ròmanach an seo, mar eisimpleir pàirt de Bhalla Antonine. David Thouless, eòlaiche-fiosaig a bhuannaich an Duais Nobel ann am Fiosaigs 2016. ↑ Chan eil Ainmean-Àite na h-Alba a' moladh "Cille Pàdraig" air sgàth 's gur àite eile a tha ann an Kilpatrick. Faic “Bearsden”. Ainmean-Àite na h-Alba. Air a thogail 26mh dhen t-Samhain 2017. ↑ “Antonine Wall, Duntocher - Bearsden”. Canmore. Air a thogail 1d dhen Lùnasdal 2017. ↑ “David J. Thouless - Facts”. Nobel Media AB. Air a thogail 1d dhen Lùnasdal 2017. 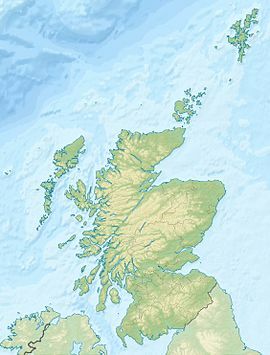 Air a tharraing à "https://gd.wikipedia.org/w/index.php?title=Bearsden&oldid=540237"
Chaidh an duilleag seo a dheasachadh 26 dhen t-Samhain 2017 aig 15:17 turas mu dheireadh.